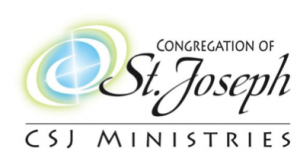 Christ in the Wilderness is a sponsored ministry of the Congregation of St. Joseph. As such, CITW supports and reflects the mission and values of our sponsor and we share in its goal of feeding the world’s hungers by bringing greater unity, justice and peace into the world. We are committed to healing, strengthening and renewing our planet Earth. In doing so, we provide a beautiful sacred space for our retreatants to experience the silence and solitude necessary to renew their spirit and return to everyday life with greater peace and energy. Begun in 1650 by six women in LePuy, France who were guided by Jean Pierre Medaille, a Jesuit priest, the Congregation of St. Joseph is a community of more than 700 vowed women religious, and over 500 lay associates who are dedicated to the love of God and neighbor and missioned to be a unifying, reconciling presence wherever they live and minister. Looking always for unmet needs in our church and world, they serve in education, healthcare, pastoral and parish ministry, social work, spiritual care and faith development, and in other ministries that respond to spiritual, social and physical needs. 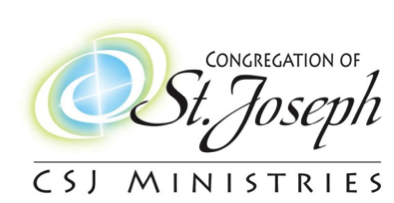 We invite you to learn more about the Congregation of St. Joseph and its many ministries by clicking on this link: http://www.csjoseph.org.